Turns out, we don’t have to feel so guilty about the meetings we rescheduled and the happy hours we ditched just so we could catch Aly Raisman’s floor routine or Usain Bolt’s sprints. The hours we spent watching the London Games may actually pay off tomorrow night when the National Portrait Gallery hosts an Olympics-themed trivia night. The pop quiz showdown is totally free and takes place in one of our favorite hangouts in town, the Kogod Courtyard, so we highly recommend grabbing your fellow games lovers, ordering drinks from the café, and putting forth the best team effort possible. (Hey, you could probably steamroll the competition with your knowledge of inane Ryan Lochte quotes, right?) May the best TV-watcher win! 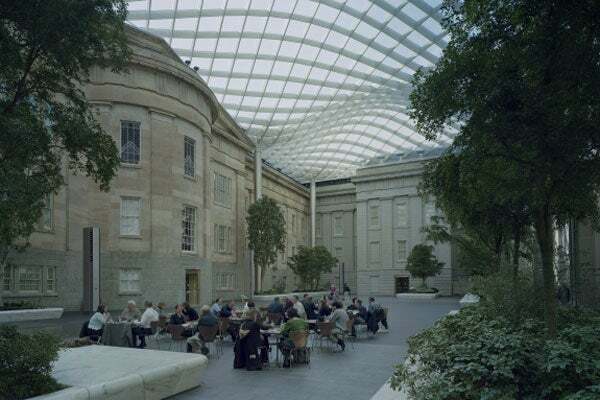 When: Wednesday, August 22, at 6:30 p.m.
Where: Kogod Courtyard at the National Portrait Gallery, 8th and F Streets NW; 202-633-8300.